The State imposes legal and de facto restrictions on freedoms of association, expression, and peaceful assembly. However, as reported previously by the Monitor, there have been cases where LGBTI organisations have been subjected to harassment. In November 2017, Rohi Zindaghi (Life Path), an NGO working on LGBT rights in the Sughd region of northern Tajikistan, announced that it had been forced to close down following a series of inspections by the local administration, fire safety officials, the prosecutor's office and other official bodies. The chair of the organisation said that they made this decision due to the endless number of inspections, though the inspectors had only found minor violations. According to the chair, the organisation had been under constant pressure from the authorities since it started working on the rights of sexual minorities a year and a half ago. On 15th February 2019, Sharoffiddin Gadoev, a prominent activist and former deputy head of the banned political opposition group “Group 24”, was shown on Tajik state television, announcing he had returned to Tajikistan voluntarily from exile and denouncing other opposition figures who fled the country. Gadoev was recognised as a refugee in the Netherlands in 2015. He traveled to Moscow on 13th February 2019 and met with officials from the Russian government’s Security Council. On 19th February, representatives of the political opposition in exile published a video recorded before Gadoev's departure to Moscow, where Gadoev states that should he appear in Tajikistan, it would be against his will. In a separate development, IPHR and other human rights organisations issued a joint statement urging the Tajik government to immediately and unconditionally release Mahmadali Hayit, deputy head of the opposition Islamic Renaissance Party of Tajikistan (IRPT), which was banned by the government in late 2015. During a visit on 9th March 2019, Hayit’s wife saw evidence that prison officials had beaten him to punish him for refusing to record videos denouncing Tajik opposition figures abroad. Mahmadali Hayit, 62, was arrested in September 2015 on politically motivated charges and sentenced to life in prison in June 2016 following a closed trial. In an opinion released in May 2018, the United Nations (UN) Working Group on Arbitrary Detention called for Hayit’s immediate release. The statement called for diplomatic representatives to "seek permission to visit Hayit and other prisoners of concern and press for their immediate release”. On 18th March 2019, nine local civil society organisations appealed to the Anti-Monopoly Service to reconsider internet price increases in line with the Constitutional provision that stated: “Tajikistan is a social state whose policies are directed towards creating conditions to ensure a worthwhile life and the free development of the person”. The organisations stated that the high cost of internet will restrict citizens' access to information and negatively affect the activities of educational institutions and government agencies, as well as international cooperation. 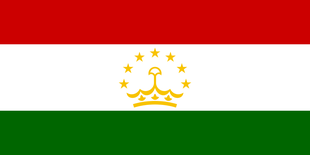 Citizens in Tajikistan are able to form organisations to advance a wide range of interests, however, the legal framework is not enabling and in practice this right is restricted. Citizens in Tajikistan are able to form organisations to advance a wide range of interests, however the legal framework is not enabling and in practice this right is restricted. The 2007 Law on Public Associations sets out the procedures to be following when registering an organisation, however the process is overly bureaucratic and all CSOs must register with the Minister of Justice. A simpler process was established in the 2009 Law on State Registration of Legal Entities and Individual Entrepreneurs, where public foundations and institutes, must register with the tax authorities. Although there is no restriction on receiving foreign funding, CSOs must notify the Ministry of Justice about foreign donations. In practice, civil society organisations and human rights defenders face harassment, intimidation and arbitrary detention. For example, some NGOs are subject to inspections by government bodies that justified those actions on national security grounds. Moreover, hundreds of activists have been arrested since 2015. Although Article 29 of Tajikistan’s Constitution provides for freedom of peaceful assembly, the 1998 Law on Assemblies, Meetings, Demonstrations and Marches places some restrictions on the full exercise of this right. Freedom of expression is recognised in the Constitution, but it is not respected or guaranteed in practice. Freedom of expression is recognised in the Constitution, but it is not respected or guaranteed in practice. The media landscape is mostly controlled by the government. Independent media outlets still operate, but face significant pressure from the government. In 2016 for example at least two outlets were forced to shut down. Journalists work in a restricted environment, facing harassment and intimidation, especially while covering sensitive topics. As such, self-censorship is very common. Defamation was decriminalised in 2012, but insulting the President or an official is still penalised under the criminal code. Moreover, journalists still face civil charges which carry heavy fines. Access to information legislation was passed in 2008, but in practice, the government exercises strict control over the release of information and continues to block online sources. The government also routinely blocks social media platforms and websites, with the law governing the state of emergency allowing the government to do so without a court order.